One summer day while bobbing around in the kayak on boundary bay I started to wonder about all those pilings sticking up in the bay. Through the local archives I learned that there had been an oyster plant here during the first half of the 1900's. Blackie spit is located on a large flat area slightly above sea level. I decided to write a love song set here in 1911 just before all the changes that started in 1912. The man is working at the oyster plant while renting a room at the Crescent lodge. He missed out buying a lot by the beach so instead he plans to clear some land and build a cabin in the dense forest along the Nicomekl river. He has sent for his sweetheart in Halifax to join him so they can build a life together by the Boundary Bay. She will be arriving on the other side of Panorama ridge at the Sullivan Station. The Coast Salish people harvested shellfish at this site for thousands of years. 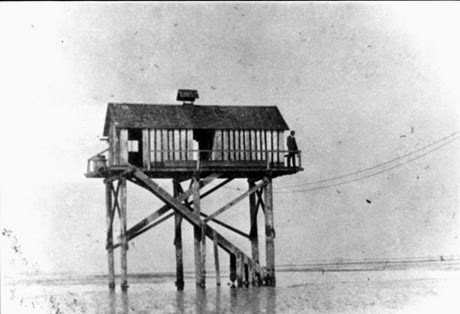 Walter Blackie, for whom Blackie Spit was named, was the first white occupant of Crescent Beach. He was New Westminter's first blacksmith. He had paid $50 to Royal engineer J.B. Musselwhite in 1871 for 150 acres. The land was left to Blackie's widow, who in turn sold it to Charles Beecher. When he died it was sold to a group of four land developers. Northern The Great Railroad came through in 1909 which led to local development. When it came time to name the train station it was agreed that Crescent Beach sounded better than Blackie Spit. In 1912 the first hotel was built by Captain Watkin Williams, who also ran a boarding house [Crescent Lodge ]with his wife Bessie. 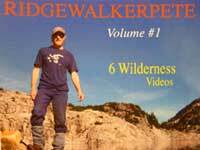 I hope you enjoy this trip through time as I put together more hiking videos. This painting of The Sullivan Station is by Peter Sawatzky. Although closed for many years it looks like the Sullivan station will rise again as a light rail transit stop in the near future. What's old is new again.